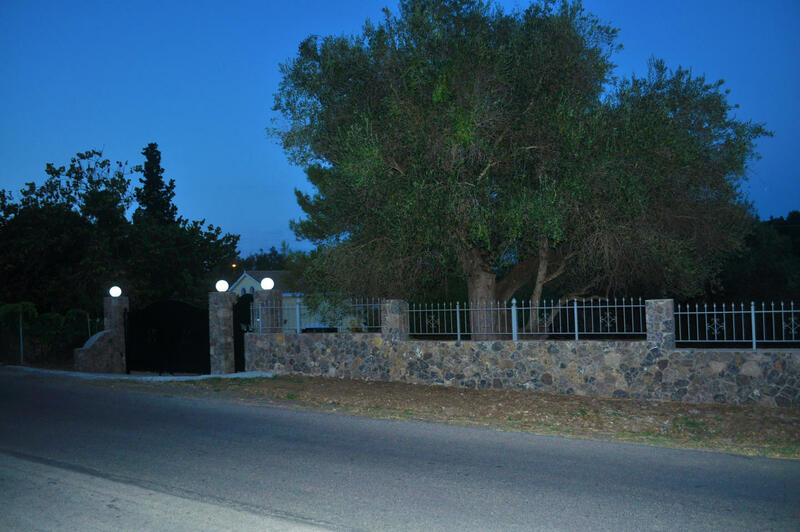 Comfortable cottage, about 110 sqm living space on a plot of about 1500 sqm. Absolutely quiet in the midst of olive groves, far away from mass tourism. 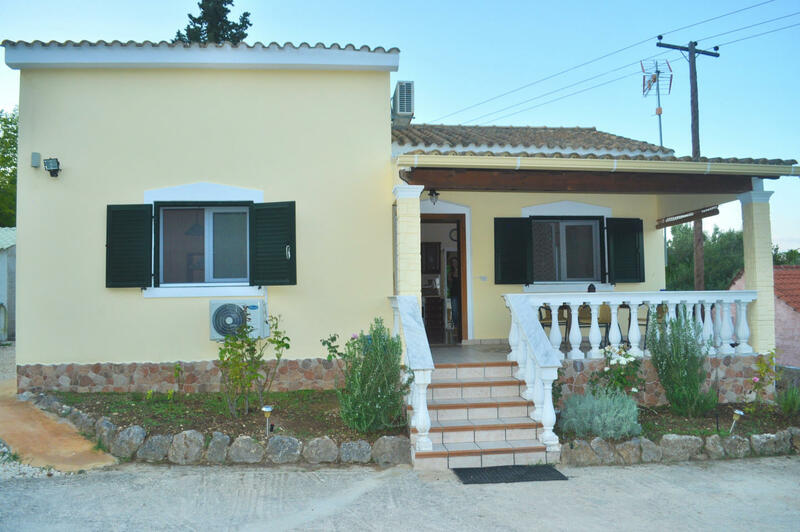 The holiday home consists of 3 bedrooms, 2 bathrooms, living-dining room and kitchen. Designed for up to 6-7 people, it is well suited for several couples or families who want to vacation together. Suitable for people who are looking for nature, peace and relaxation. 1st floor: 2 bedrooms each with air conditioning, bath / Wc. Currently, one of the two bedrooms on the first floor is used as a storage room. Ground floor: Living room with satellite Tv, dining area, large fully equipped kitchen. 2 bedrooms each with air conditioning, bath / Wc, laundry. Two spacious verandas, one in front and the other behind the house. 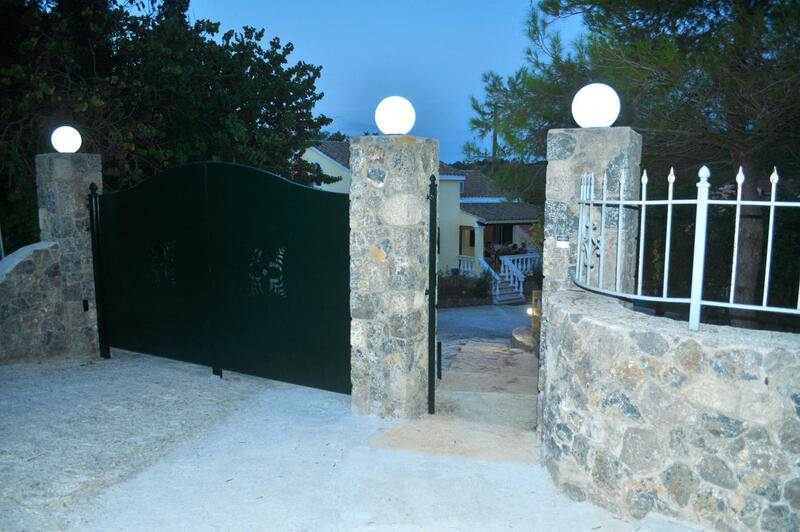 Outside: Garden about 1500 sqm, garden shed, terrace furniture, outdoor shower, deck chairs, cozy barbecue. A vehicle is recommended as the nearest major supermarkets are about 4 km away (towards Corfu Town). Nearest Minimarket in Pelekas village (2 Km). Next Taverna (about 200 meters), several taverns, cafes, bars and shops on Pelekas or Pelekas beach (about 2 km). Parking at the house. Cleaning, towel and linen change twice a week.